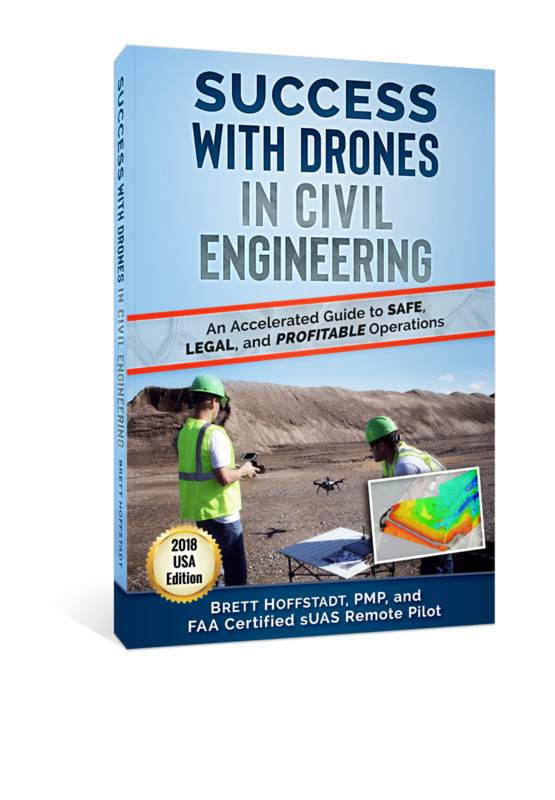 A new resource was released in May 2018 to help people who want to accelerate their efforts toward safe, legal, and productive operations with commercial drones in the civil engineering fields. The breadth and depth of information in the book, however, makes it a valuable resource for anyone who is pursuing commercial drone or industrial drone efforts in any industry vertical. The book was written by Brett Hoffstadt, a dual-degree aeronautical engineer, certified project management professional (PMP), and FAA licensed sUAS remote pilot. He is also the current Vice-President of Drone Pilots Federation. If you would like to get an inside look into the book and the motivations behind it, you can read an interview with Brett that was conducted by Jeremiah Karpowicz on Commercial UAV News. A more complete list of excerpts and attention the book has been getting can be found on one of Brett's websites here. Drone Pilots Federation is dedicated to the safe, enjoyable, and responsible uses of drone technologies in every aspect of our world. Thanks for everything you do further this mission in your corner of the world. If you need help with your efforts, or believe that we can help each other toward this common mission, please contact us with a comment below or by using our CONTACT page.